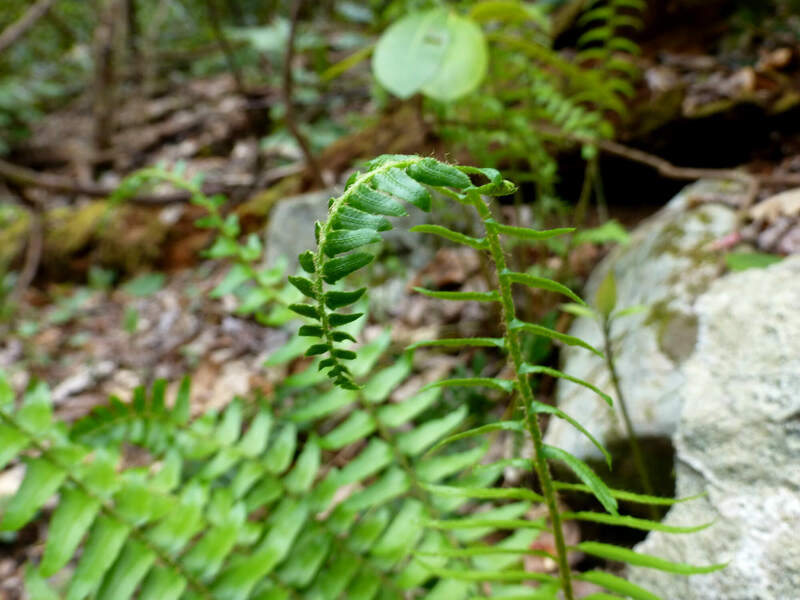 The Catawba Falls Trail is part of Pisgah National Forest, thanks to a land conservancy, which bought the property from private landowners and transferred it to the Forest Service. The trail is between two and three miles total, an “out-and-back” trail as we say. 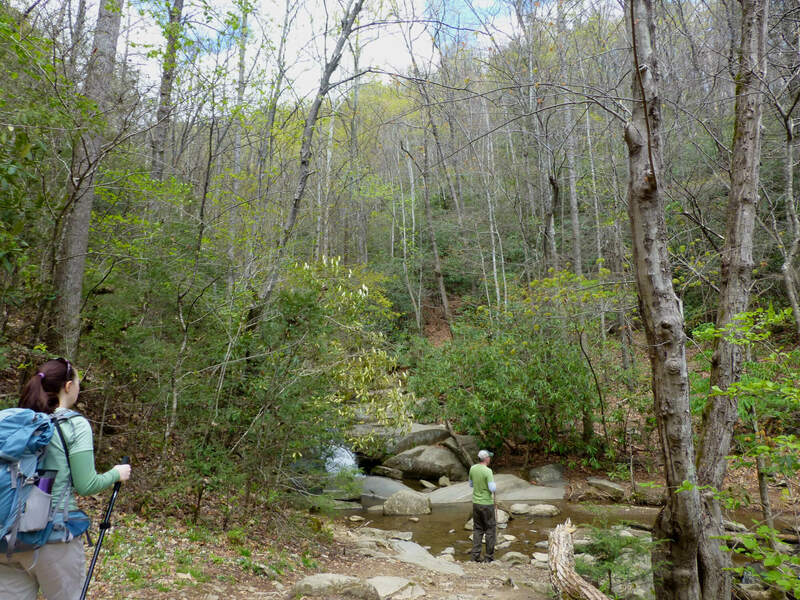 You hike to the base of Catawba Falls and then return to your starting point. 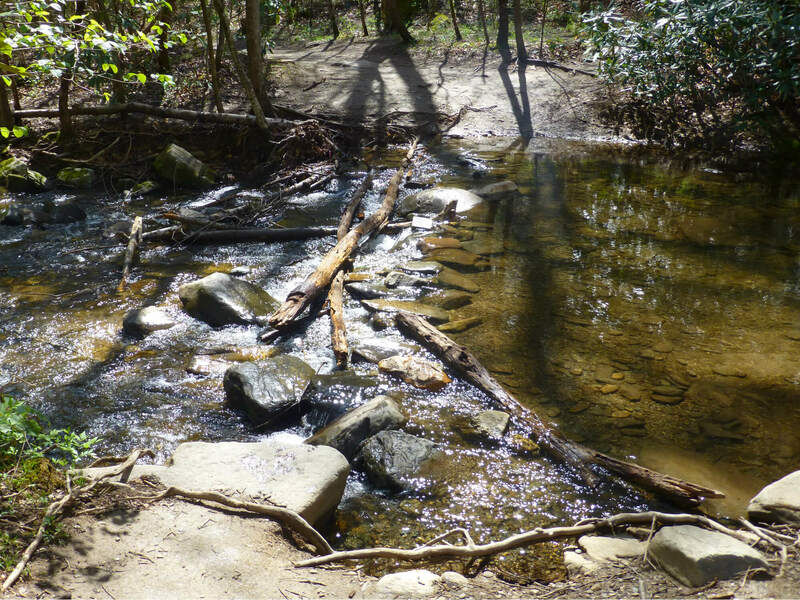 This is a waterfall hike in which you will get your feet wet as it requires crossing over the Catawba River and small tributaries along the way to the falls. Not to worry, this is the beginning of the Catawba River, so it’s more like a stream than a river. Rock-hopping and navigating over a large downed tree are part of the experience! 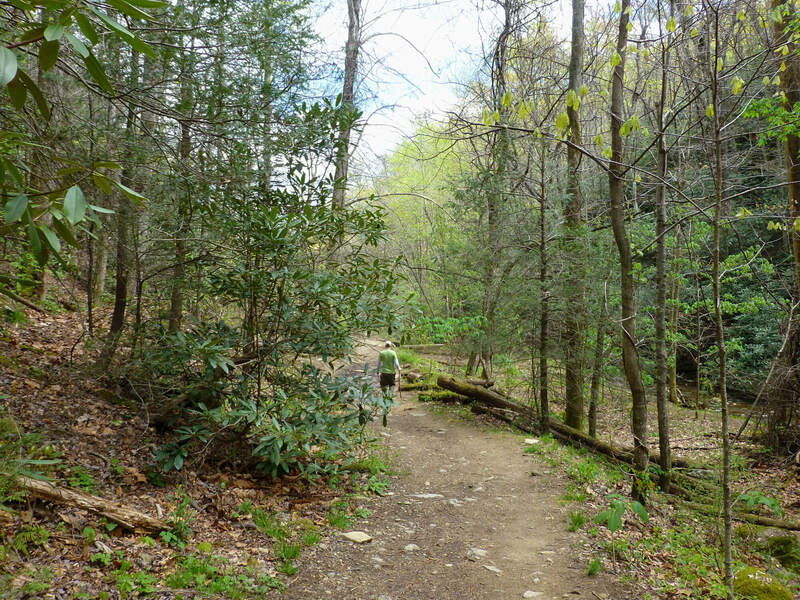 The trail meanders through beautiful forested land, with evergreen and deciduous trees. 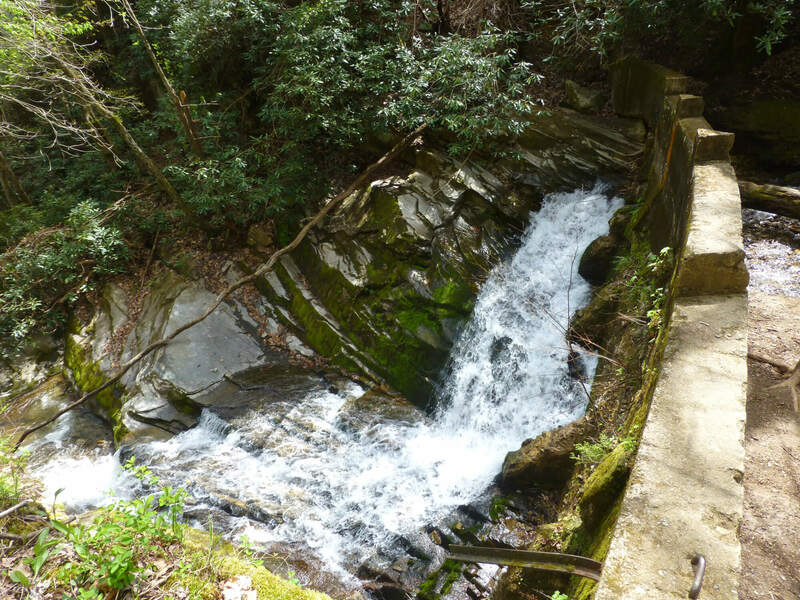 Part of the trail also traverses land that once housed a hydroelectric dam and parts of the structure are still intact, adding a dash of history and extra coolness to this particular waterfall hike. 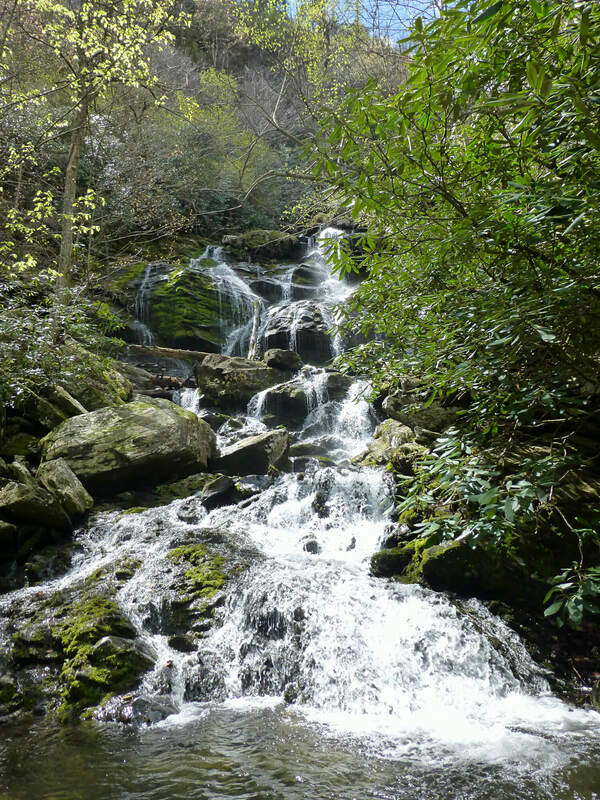 Of course, the destination is the gorgeous Catawba Falls, which is actually a set of two falls — lower and upper. The lower section is over 100 feet high and features cascades of water over several large boulders. Quite impressive and rather peaceful at the same time. The upper section of the falls has a shorter-distance, free falling waterfall. 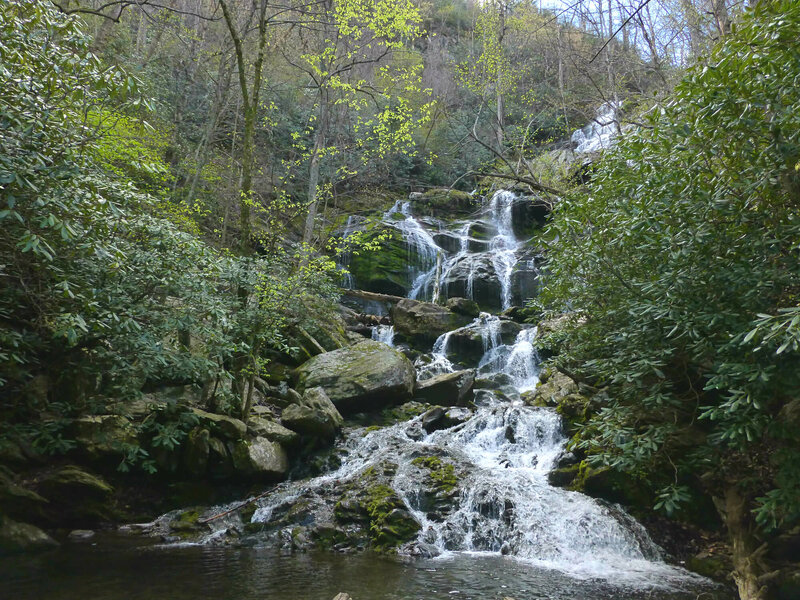 Currently, the Forest Service does not recommend trying to access the upper falls of Catawba Falls and you’ll see signs at the falls saying so. Many people injure themselves on the upper section and the challenging terrain makes for a challenging rescue. 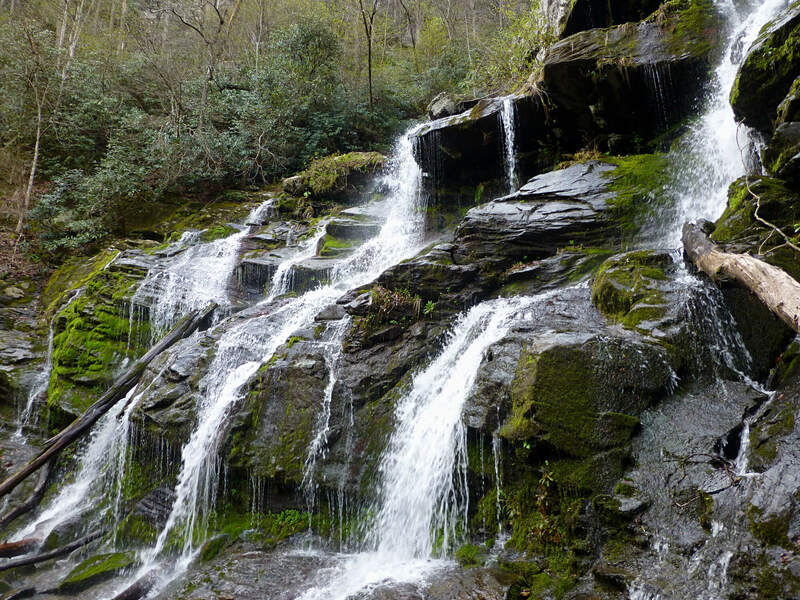 We see at least one or two news reports every year of serious injuries sustained on the upper section of Catawba Falls. So please be safe — we want you to return to the Inn in one piece! 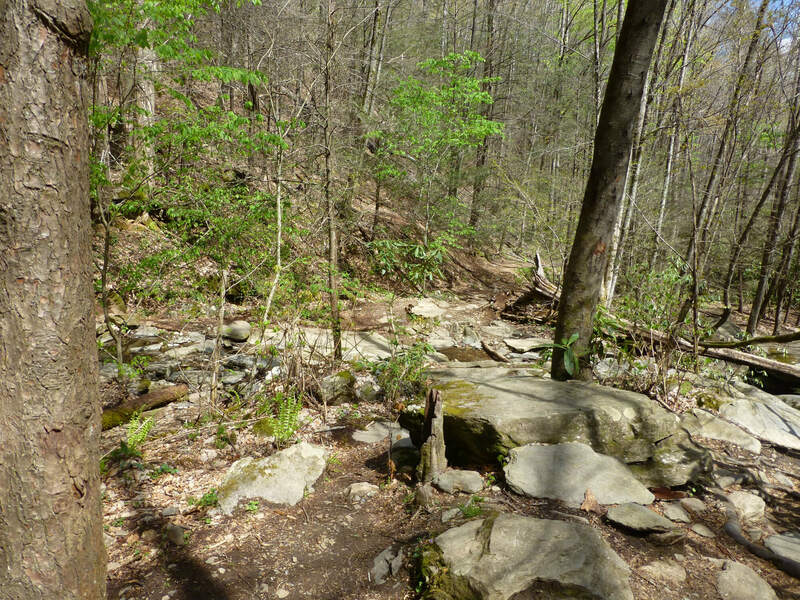 Catawba Falls Trail is about 20 minutes from the Inn on Mill Creek B&B. 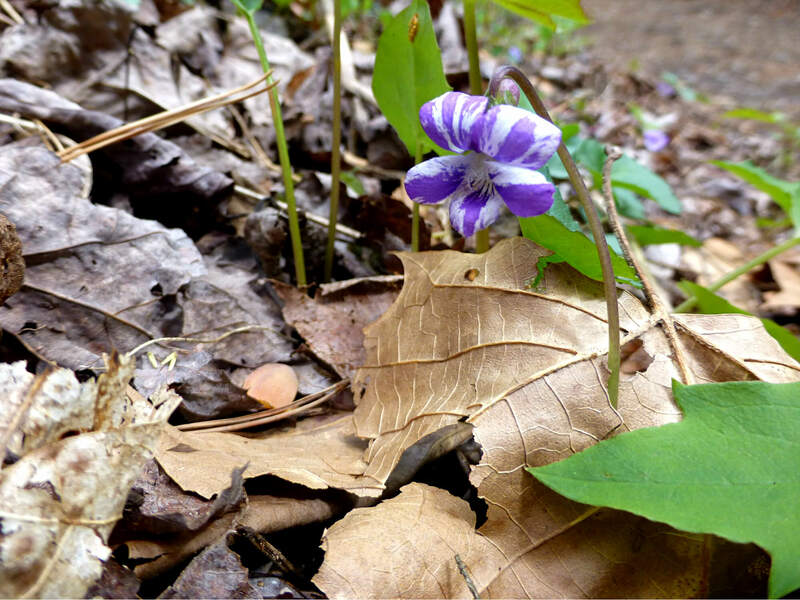 To get to the trail, travel south through downtown Old Fort on Catawba Avenue and turn right onto Catawba River Road, or take I-40 Exit 73 and Catawba River Road is pretty much right there at the exit ramp. 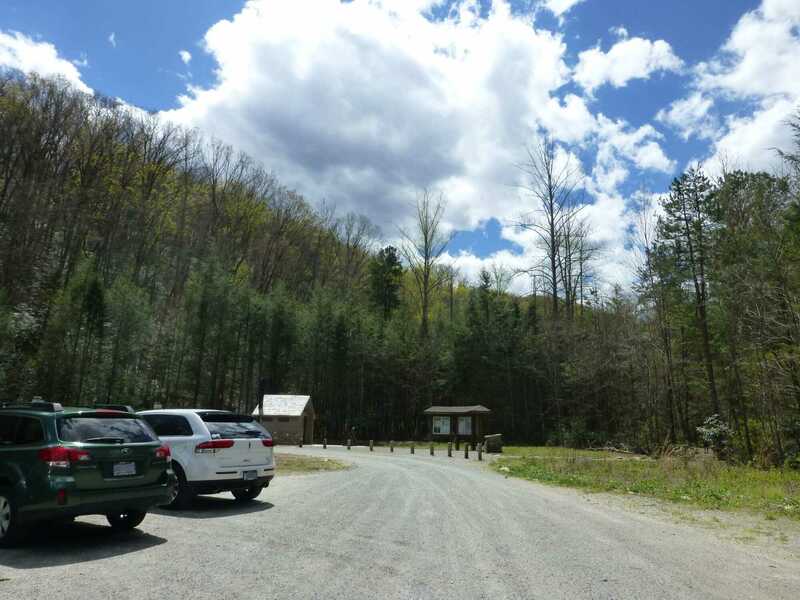 Take Catawba River Road all the way to end and you’ll be at the parking area for the trail. 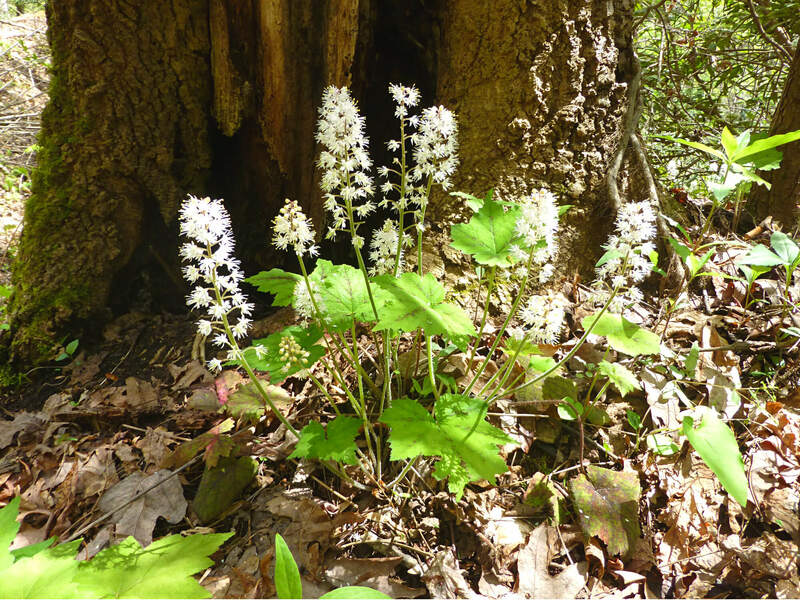 This entry was posted in Hiking and Waterfall Trails and tagged hiking, Old Fort, outdoors, Spring, waterfalls by Inn on Mill Creek. Bookmark the permalink.